Beatnik Turtle's music is available at CDBaby.com, Spotify, Apple Music, and a gazillion digital retailers including "the iTunes", Amazon, and more. They also have merchandise for sale too. What's a rock band without a t-shirt? Beatnik Turtle has released 20 albums (including 1 live album) and 1 EP. 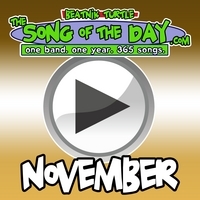 A double album packed with 44 of the best and most popular geek-rock songs from Beatnik Turtle's TheSongOfTheDay.com project -- revisited, remixed, and remastered. Remember being a kid? Eating cereal, going to school, getting bullied, and wondering "are we there yet?". "When I Was Your Age" is a fun, geek rock look back on growing up when phones were attached to walls and video games were dots and lines. No penny whistles. No mandolins. No fiddles. Just 13 Irish pub songs cranked to "11". Big drums. Huge horns. Loud Guitars. Finalist for Best Celtic Album, 2009 JPFolks Music Awards. 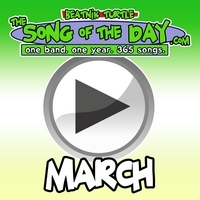 Beatnik Turtle's 10-minute opus chronicling one man's struggle to order pizza. 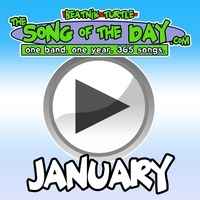 All 365 songs released at TheSongOfTheDay.com from January 1, 2007 through December 31st, 2007. Big songs, small songs, instrumentals, and more! Enjoy 14 hours, 57 minutes, and 22 seconds of genre-crossing music rooted in Beatnik Turtle's horn-powered geek rock sound. 16 fun and energetic pop-rock tunes about work and technology. Topics include working retail; I.T. Departments; interns; blogs; the ubiquitous bagged lunch; Google; consultants; and "sleepworking" through life. 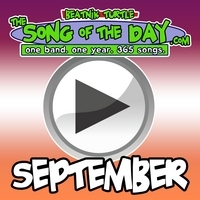 Hear Beatnik Turtle live on stage! 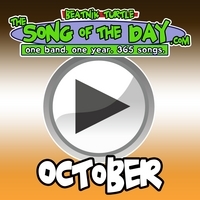 Contains 17 live versions of Beatnik Turtle songs including "Were All These Beer Cans Here Last Night? ", "Cube Farm", and "Pop Tarts & A Pack of Smokes." 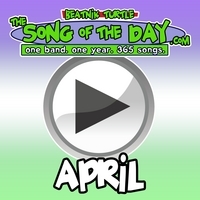 Beatnik Turtle's most Cheapass album yet! 11 songs about or inspired by the off-beat, quirky board and card games of Cheapass Games. 14 "Un-Holiday" classics as featured on Dr. Demento and at the world-famous Second City. 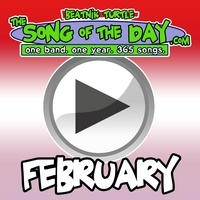 Beatnik Turtle's first and only debut album. Includes live show favorites "Pop Tarts & A Pack of Smokes", "I Lost My Glasses in Canada", and "High Horse (Jesus, Won't You Come Out & Play?". Get all 365 songs released at TheSongOfTheDay.com from January 1, 2007 through December 31st, 2007. Big songs, small songs, instrumentals, and more! Enjoy 14 hours, 57 minutes, and 22 seconds of genre-crossing music rooted in Beatnik Turtle's horn-powered geek rock sound. (St. Martin's Press/Macmillan; 400 pages). Newly revised and expanded, this is the acclaimed handbook for musicians looking to write, record, and promote without a label. More musicians are recording, distributing, marketing, and selling their own music now than ever before in history. The Indie Band Survival Guide is the critically-acclaimed, do-it-yourself modern classic that has been telling them how for years.In this up-to-the-moment edition, musicians and web gurus, Randy Chertkow and Jason Feehan, cover everything musicians need to know. Drawing on their in-the-trenches experiences, they tell musicians how to: Sell on iTunes, Amazon, and Spotify; Get played on radio, podcasts, and blogs; Effectively market on Facebook, Twitter, and YouTube; Copyright, license, and make money; And much more. This information exists nowhere else. Chertkow and Feehan are pioneers in using the Internet to do what only labels could do in the past and will help your band go from garage to global. The DIY Music Manual is The Indie Band Survival Guide tailored to the UK, European, Australian, and New Zealand markets. For instance, the law affecting musicians and the ways in which to get played on the radio are different than in the US and Canada. The Indie Band Survival Guide is the ultimate how-to reference for musicians looking to record, distribute, market, and sell their music independently. Musicians, Randy Chertkow (by day, a tech expert) and Jason Feehan (by day, a lawyer) cover every step of the process and lay out practical steps to get your music heard, noticed, and sold so you can win fans worldwide.